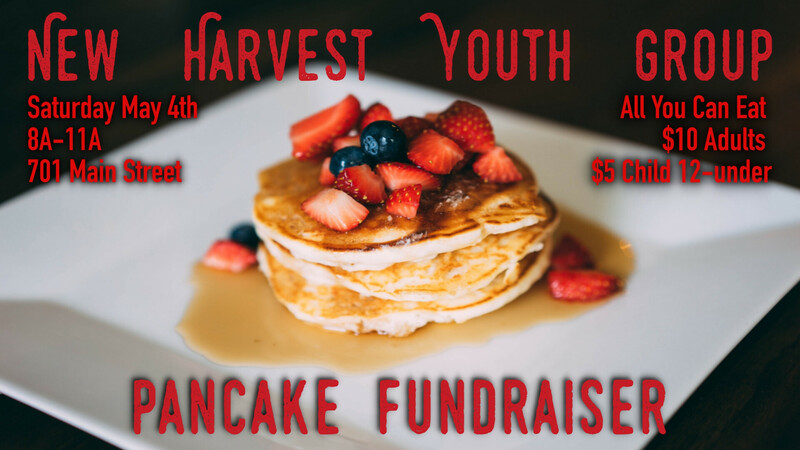 Join us for our NH Youth Group all you can eat Pancake and Sausage Fundraiser. We are raising funds to support our youth group to attend conferences and other events. Tickets will be $10 for adults and $5 for youth 12 and under. All you can eat pancakes, sausage and drinks. To join in to help visit the reception desk or contact Youth Group leaders Jason and Tanya.